NetherRealm’s Injustice 2 may recently released but the developer is busy hyping up its DLC characters. 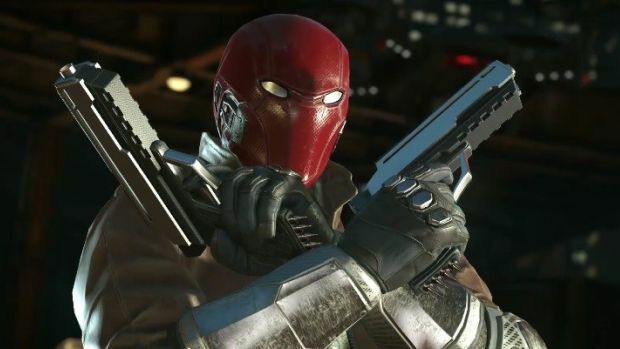 The first is Red Hood, who’s gameplay trailer was revealed this Sunday at the Combo Breaker tournament, and is part of Fighter Pack 1. Check it out below (via GameSpot). Red Hood employs a variety of gadgets like explosives, a knife, shurikens and his signature duel handguns to battle foes. His combo potential is pretty good but the most obvious takeaway is that he’ll be effective at subduing enemies from range. Fighter Pack 1 will include Red Hood along with Starfire and Sub-Zero, retailing for $19.99. Its release date still hasn’t been revealed but we’d like to think that NetherRealm will hype up the pack’s other heroes before then. What are your thoughts on Red Hood’s abilities in Injustice 2? Let us know in the comments below and stay tuned for more information on the DLC heroes in the coming weeks.